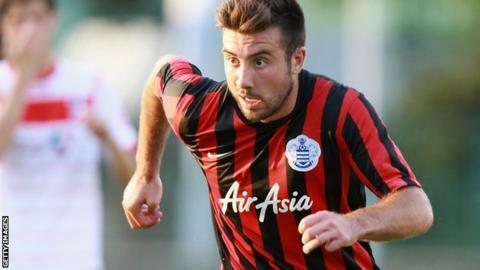 League One side Gillingham have signed Queens Park Rangers midfielder Michael Doughty on a one-month loan deal. The 21-year-old, who came through the academy at Loftus Road, will remain with the Kent club until 22 November. Doughty has only made one senior appearance for QPR and previously had loan spells at Crawley, Aldershot, St Johnstone and Stevenage. The Wales Under-21 international scored two goals in 43 appearances for Stevenage last season.